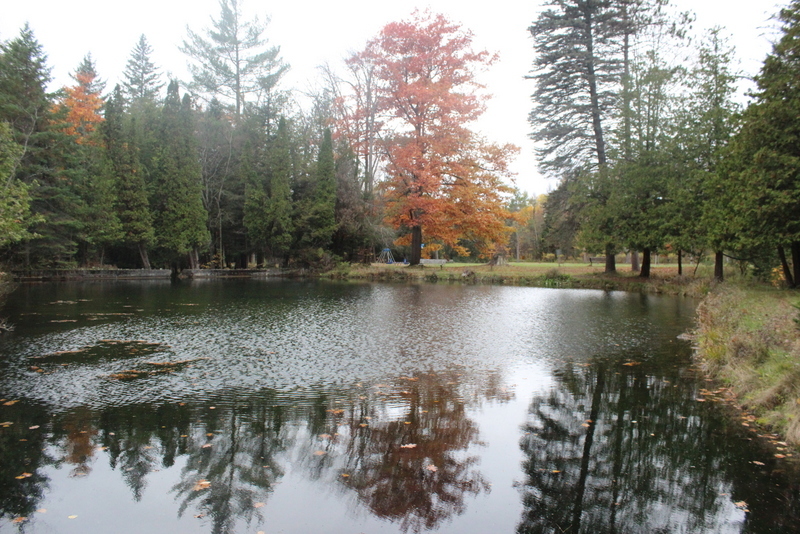 Springwater Park was once a great outing for this family of seven. Nearby, inexpensive and a blast for rambunctious little ones, we used to take a picnic and a frisbee and drive less than ten minutes out highway 26 to the park. The gate admission, only about $10.00, was easy on the wallet. 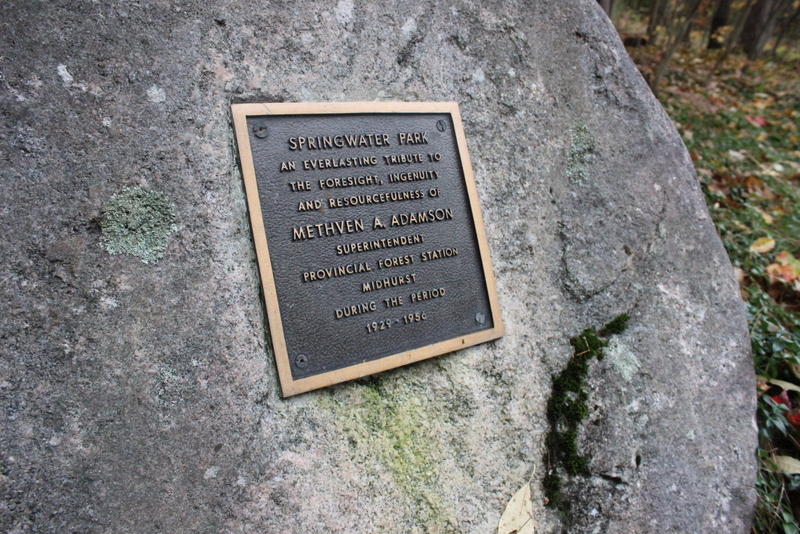 Unfortunately, Springwater Park fell victim to budget cutting by the Ministry of Natural Resources, along with nine other Ontario Provincial Parks, in 2012. It was closed and shuttered a few months later. But Springwater Park is only sleeping, taking a well deserved vacation, and will rise again soon. That is my personal opinion, and my hope. Some behind-the-scenes negotiations are taking place right now and it is hoped that Springwater can return to operational status soon. For now, visitors are welcome to park just outside of the main gate and walk in. My teen son, Mitchell, and I took a hike today through the park. It’s been some years since we visited, and we haven’t been since Springwater closed. I fully expected to see graffiti and broken windows, but that was not the case. Yes, the washrooms, park store and other buildings are boarded up, and the drinking fountains are shut off, but otherwise the park looks pretty good. I understand, from Ian Taylor of Friends of Springwater Park, that concerned citizens quietly go in and tidy up and do repairs. 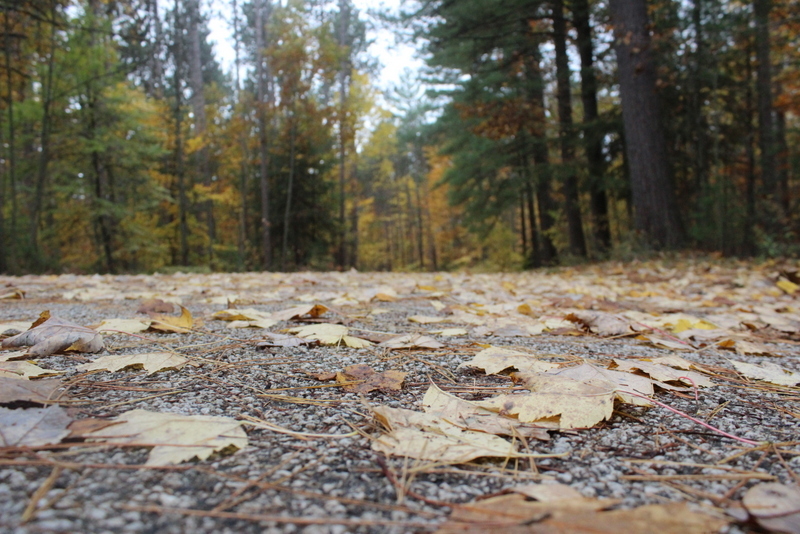 The colours of the fall leaves were spectacular on this cool October day. I would guess our local autumn display must be at peak now, with unbelievable shades of crimson, orange and gold both on the trees and drifting down to the forest floor. The air smelled damp and earthy, with a hint of camp fire smoke coming from a nearby aboriginal peoples’ encampment. Very few bird sounds remained – only the blue jay and the crow, most of the rest have wisely winged south. We passed a couple of brass plaques, affixed to mossy boulders, honouring the men who had vision enough to create this park. I wonder what these men would think of the closing of Springwater. Nearby stood the cenotaph dedicated to the Vespra Boys, the young men of the area who lost their lives during the Great War of 1914- 1918 – a lovely, peaceful place for their memories to rest. A very sturdy wooden bridge, again in surprisingly good repair, spans the entrance to a pond where I recall my kids watching large fish and a pair of swans, neither was evident today, but that may be simply due to the lateness of the season. The oldest of the playground equipment is on the other side of the bridge, and we saw something new – a tipi and the branch skeleton of what might be the start of a wigwam or longhouse. 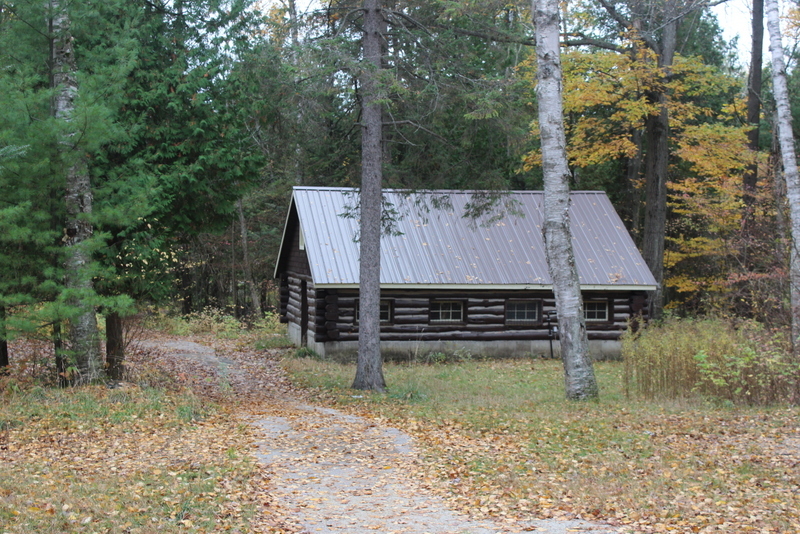 This was likely built by the Anishinaabe people who have been occupying the park since it closed. They hope to turn it into a native educational and healing centre. In a perfect world, perhaps the park can re-open and all the interested groups can have their wishes granted in some way. On the far side of the pond, the most delightful set of stone stairs descends down to where a small waterfall cascades into a natural stream. I understand a water wheel sat here years ago, something I would have enjoyed seeing, but it’s a lovely little spot nonetheless. If you continue on up, you come to a picnic area with swings, a basketball court and an open field perfect for frisbee. Then there is the grandmother tree … well that is what we called it. It is quite old, 80 to 100 years I would guess, and has the most unusual growth pattern of any conifer I’ve ever seen. My kids climbed her thick upturned branches many times before, and Mitchell scurried up today too, camera around his neck, to check out and abandoned squirrel’s nest and take some pictures. We doubled back and arrived at the huge picnic pavilion, built of log construction early in the 20th century and still solid as a rock today. How many countless family reunions were held here? And what a background for wedding pictures! Two little log cabins adjacent, each with wood burning fire places, were available for rent for parties too. 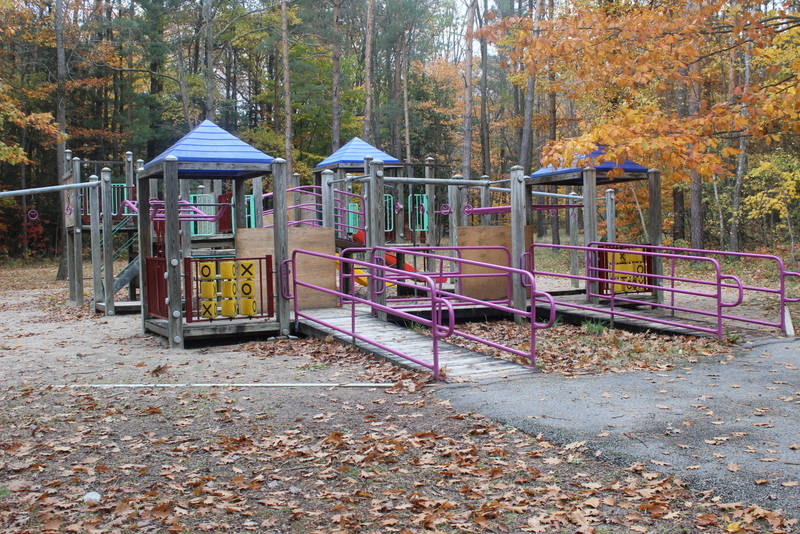 “I think my mind just exploded!” said my son as we approached the clearing between the 1990 era playground and the comfort station. He claimed to have very little memory of our many outings here until he saw this spot and it all came back to him. Suddenly, he remembered the walks, the picnics and the time they all scattered when they saw one of their teachers at the park too. After we ate our lunch, we always took a stroll to see the animals. 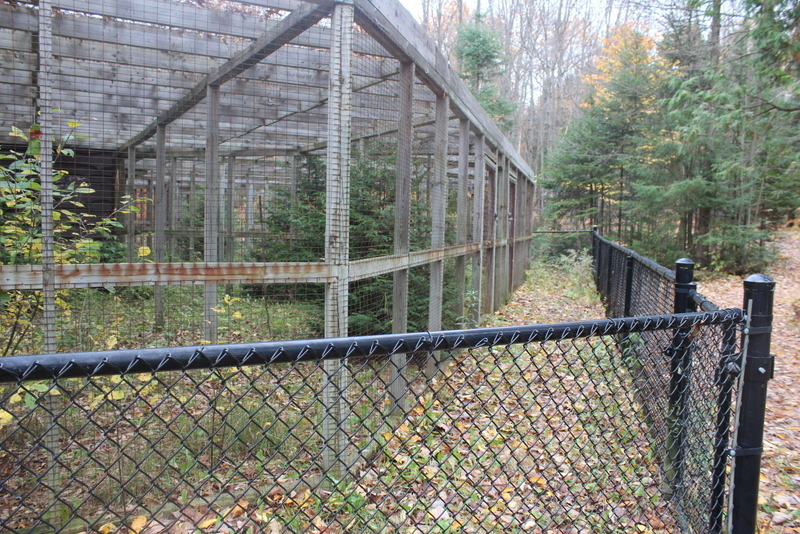 Springwater had a unique display of Canadian wildlife, from black bear and lynx to fox and an albino racoon, most were rehabilitated creatures unable to fend for themselves. 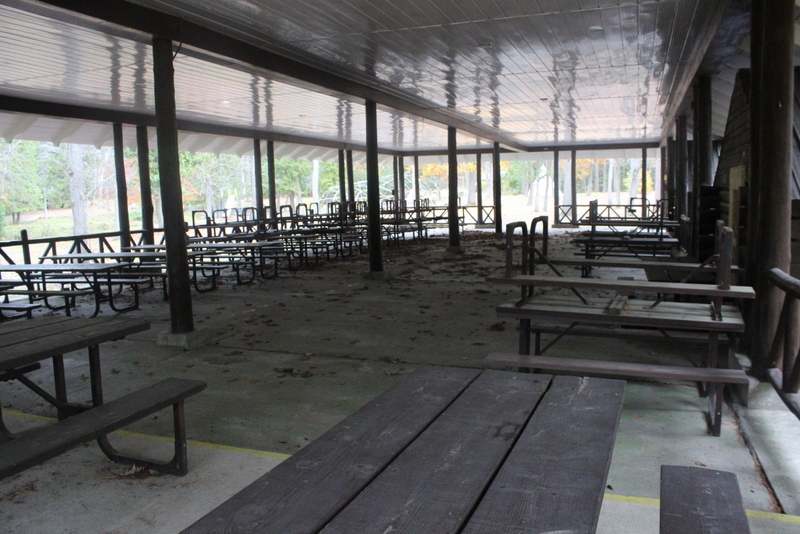 But the enclosures stand empty now. The animals have been relocated to various sanctuaries, and will not be returning I understand. 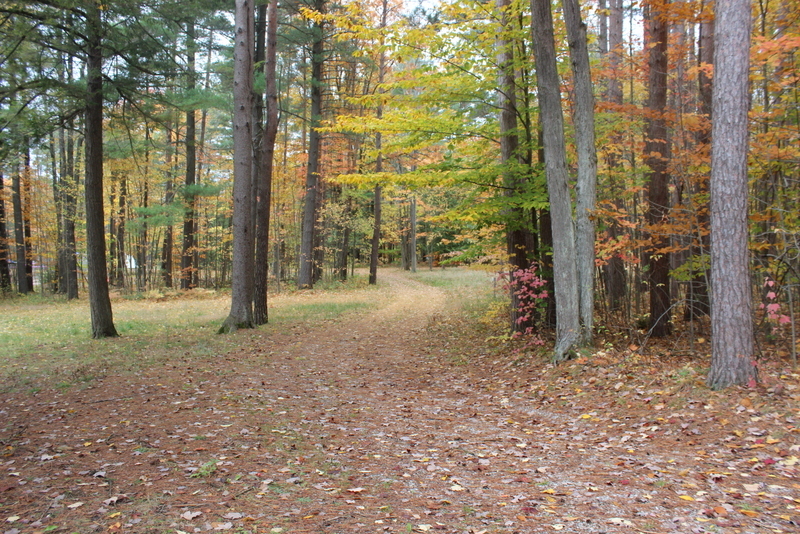 Spingwater Park has a lot to offer, even in its official non-operational status. Sure, you have to leave your car outside the gate, but aren’t you there for a walk anyway? The main rest rooms are closed, but temporary outhouses are available at least. 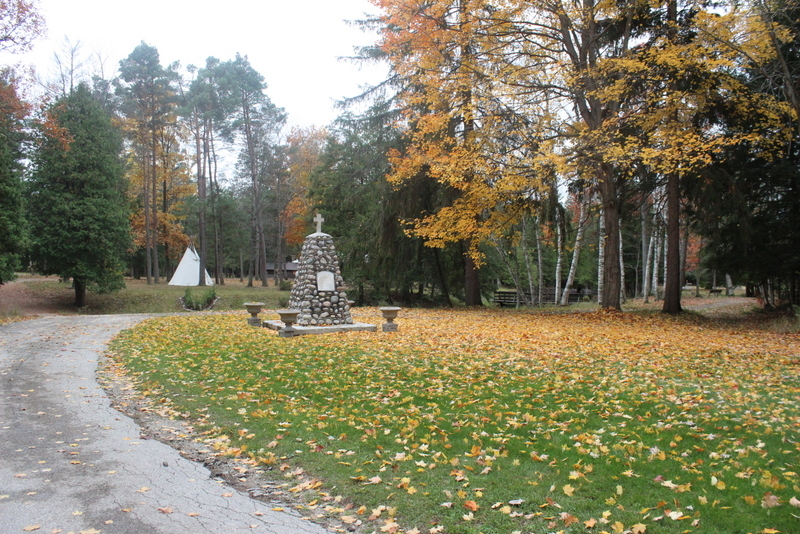 Minor inconveniences for a currently admission free day through one of Simcoe County’s treasures. Such a beautiful park. Hopefully it gets reopened at some point. Our family always has a great time at the parks in Ontario. 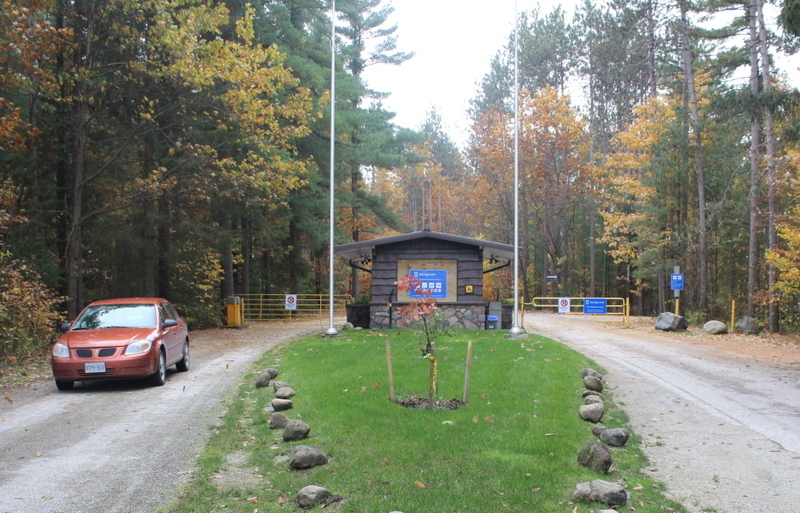 All of the mammals at the park were relocated to Aspen Valley Wildlife Sanctuary, in Rosseau, Ontario. They now live in spacious, forested enclosures, enjoy varied natural diets (most subsisted on a traditional “zoo” diet of dog food and such at Springwater), and many now enjoy the company of companions of their own species. At Springwater, Furley the bear was fed year-round, which kept her awake and led to massive weight gain. At age 18, Furley hibernated for the first time last winter. She woke up in the Spring looking fit and trim. The Springwater lynx pair and bobcat, who used to live side-by-side in tiny cages, and pace all day, now share a forested enclosure with catwalks and sleeping boxes perched among the treetops. The lone Springwater wolf, who was elderly when she was moved, is now deceased, but she spent the last year of her life living alongside five other wolves and making beautiful music with her friends. I think Chrissy passed away a happy wolf. More info. is available on the Aspen Valley website. Thank you for revising the blog. I do hope the park will be reopened soon. My family would like it restored to it’s former beauty with flower gardens and trimmed trees, new playground equipment and splash pads for adults and kids with a ball diamond that families can have fun playing ball. And have the store open for food and snacks plus souvineers. I think the park should reach out for volunteers to help with the clean up.